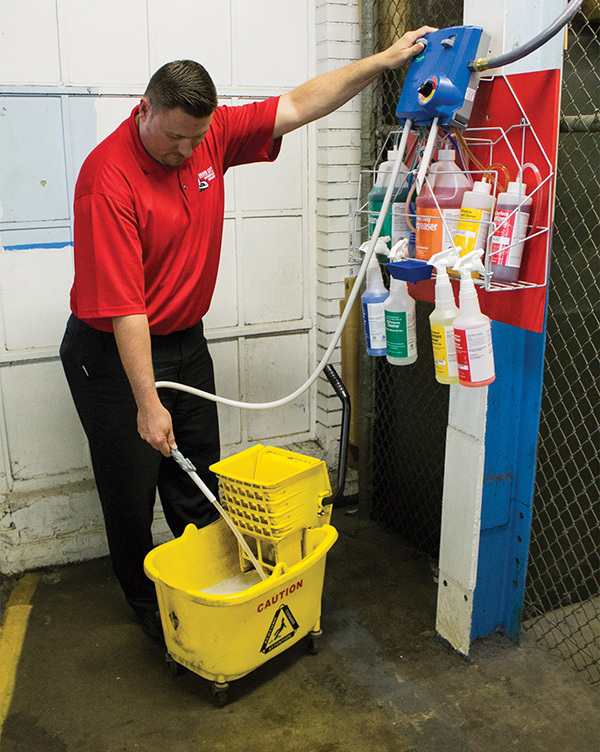 Save 90% or more on the most common cleaning supplies for your facility with an Iron City Cleaning Chemical Management System. Built in, adjustable metering tips assure the perfect dilution rate every time, preventing over-use and keeping your costs down for good. With our Cleaning Chemical solutions, you will always have cleaning supplies on hand at your facility, and you will no longer have to worry about the purchasing and management of your facility’s inventory. Our safe and innovative dispenser is simple to use and gives you everything you need at the push of a button! Simply turn the dial to any of our 5 chemicals and fill up! 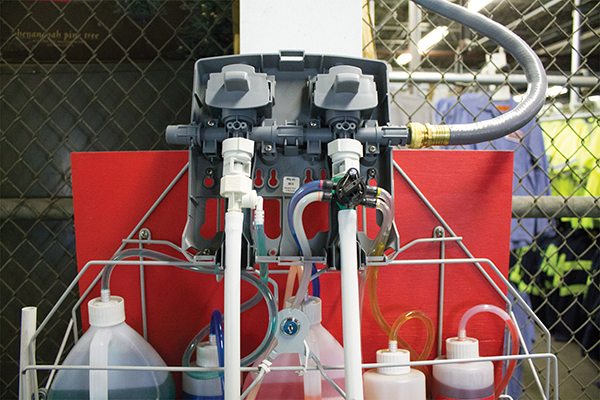 Our experienced service reps regularly examine your dispensers, inspect the metering tips, manage your inventory, and ensure quality cleaning chemicals are available for your employees at all times.